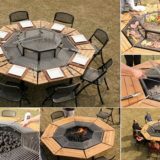 Now that warmer weather is finally starting to arrive where we live, we’re finding ourselves less and less inclined to fire up the oven and heat the whole kitchen up around dinner time. 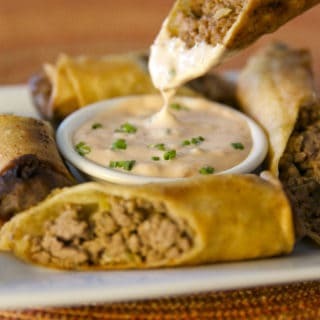 Even on nights that we do cook a hot meal, we’re still craving nice, fresh tasting things! 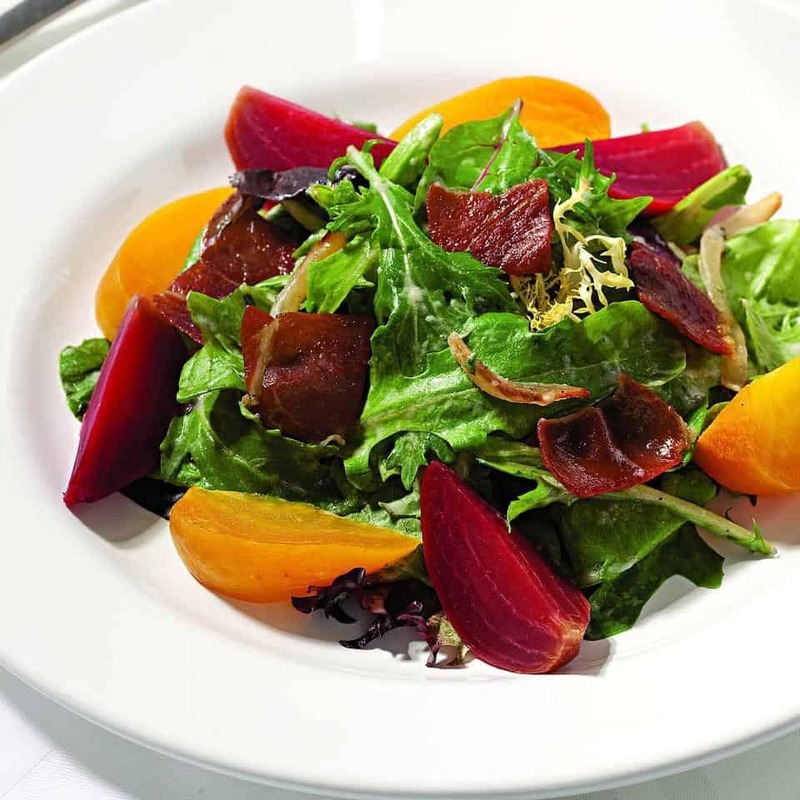 It’s like our bodies know that the time for delicious spring salads has arrived once more. 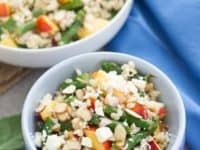 That’s why we’ve had our eyes peeled for a while now for all kinds of great spring salad recipes that we’ve never tried before. 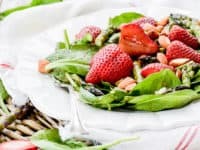 Just in case you’re as in love with the idea of ringing spring in with a fresh, seasonal salad as we are, if not more, here are 15 of the very best recipes and flavour combinations that we’ve come across so far in this year’s search! 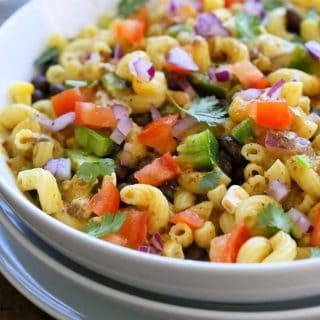 Is your favourite part of spring getting to eat all the fresh vegetables that aren’t in season all winter long because veggies have always been your favourite part of any meal? 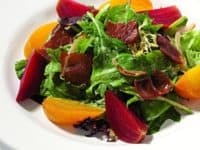 In that case, we think you just might be the perfect person to give this delicious beet a prosciutto spring salad with creamy homemade onion dressing from Eating Well a try! 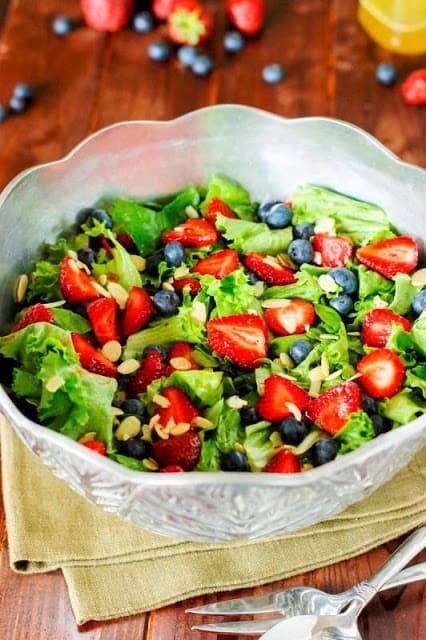 One if the best parts of preparing a spring salad is the fact that suddenly fruit can be eaten at any time of day, for any meal! 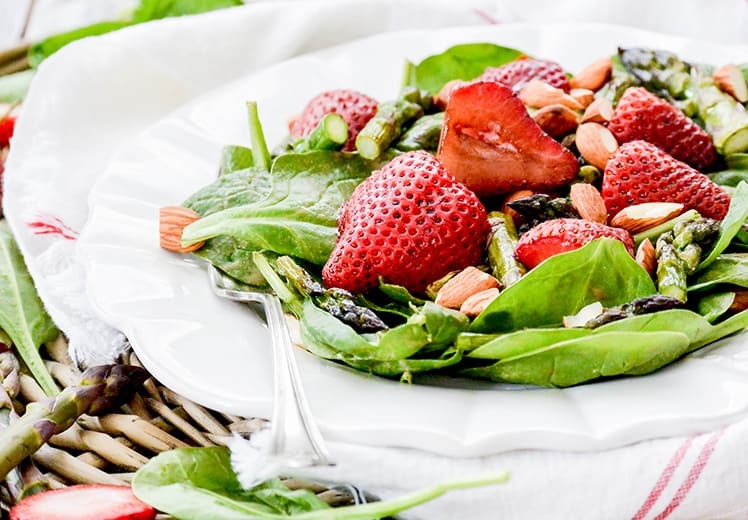 We’re huge fans of strawberries taking centre stage in our salads, so we’re sure it’ll come as no surprise that we adored this recipe from Floating Kitchen for a roasted strawberry and asparagus salad with strawberry tahini dressing. 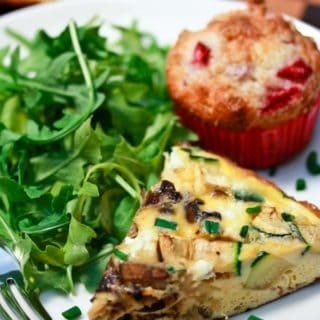 Perhaps your favourite kind of salad is the slightly more filling kind that could make a whole meal in itself, rather than just being paired with an entree like a side, because that’s the kind of springtime lunch you enjoy the most? 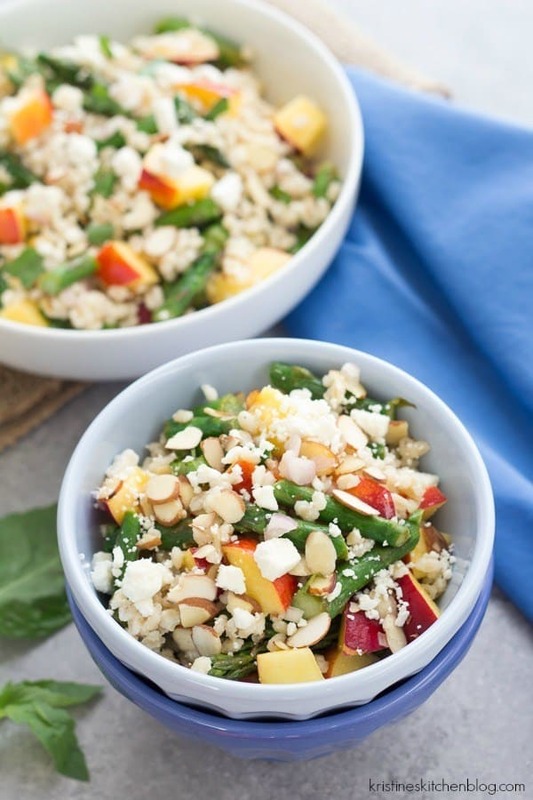 In that case, we’d definitely suggest giving this barley salad with grilled asparagus and nectarines featured on Kristine’s Kitchen a try. 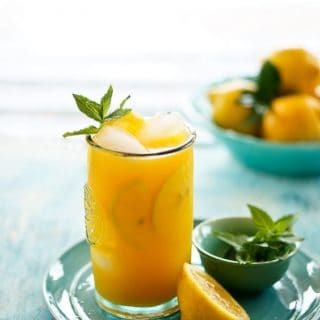 Are you the kind of person who likes slightly more tart and savoury tastes in your salads, rather than sweet things like strawberries and other fruit, even though you’d still like to include some seasonal spring things? 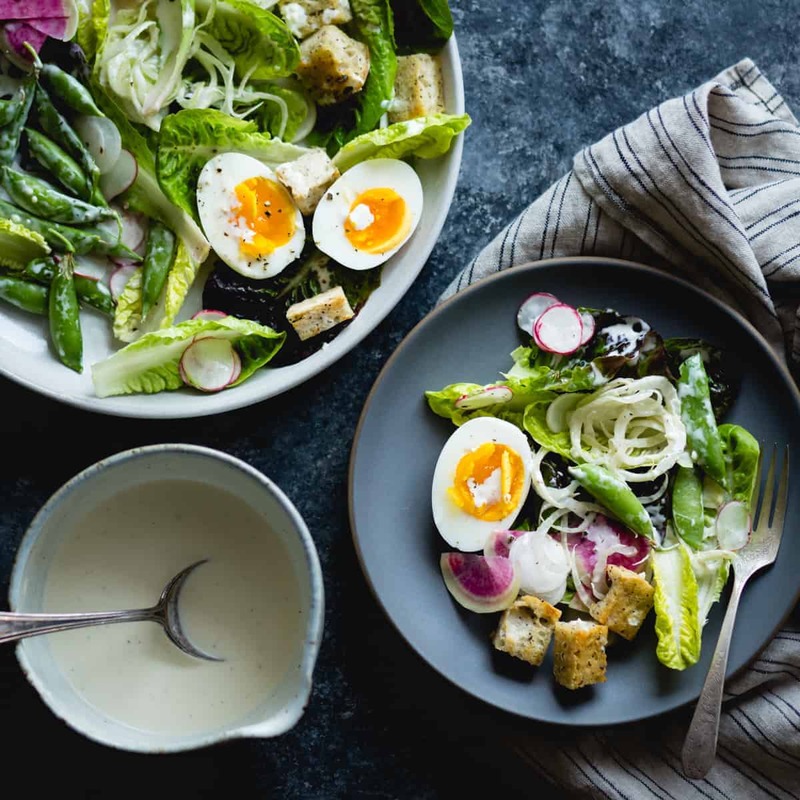 In that case, we think you might appreciate the way The Bojon Gourmet made this spring greens salad with fennel, radish, and miso buttermilk dressing! 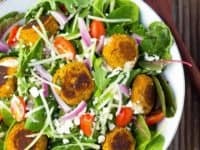 Just in case you’re still looking for a fresh spring salad that will be filling enough to make up a whole meal but you’d rather stick to mostly greens as the actual base, instead of heavier things, then here’s a recipe falafel lovers will certainly appreciate! 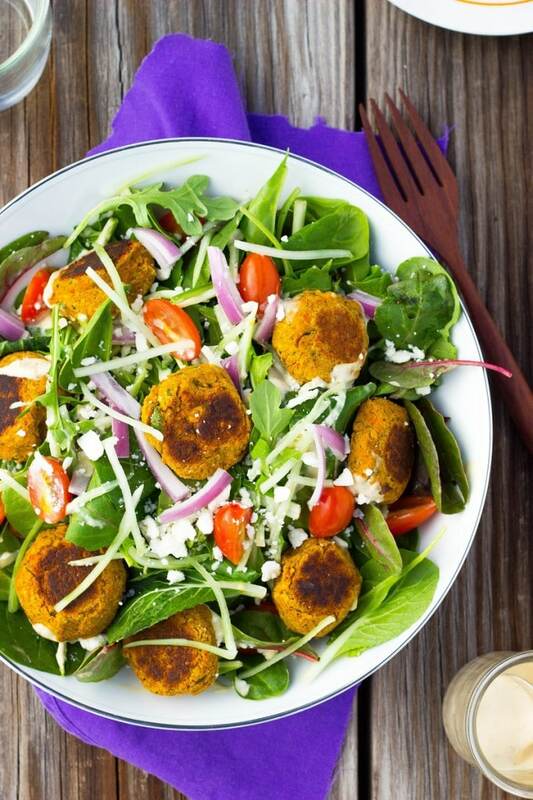 She Likes Food teaches you how to make a delicious roasted carrot falafel salad with homemade citrus tahini dressing. 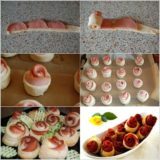 Are you really starting to dig the idea of making everything in your own salad right down to the toppings, like the homemade dressings we’ve listed so far, so you’re interested in more unique salad recipes that also come with recipes for more? 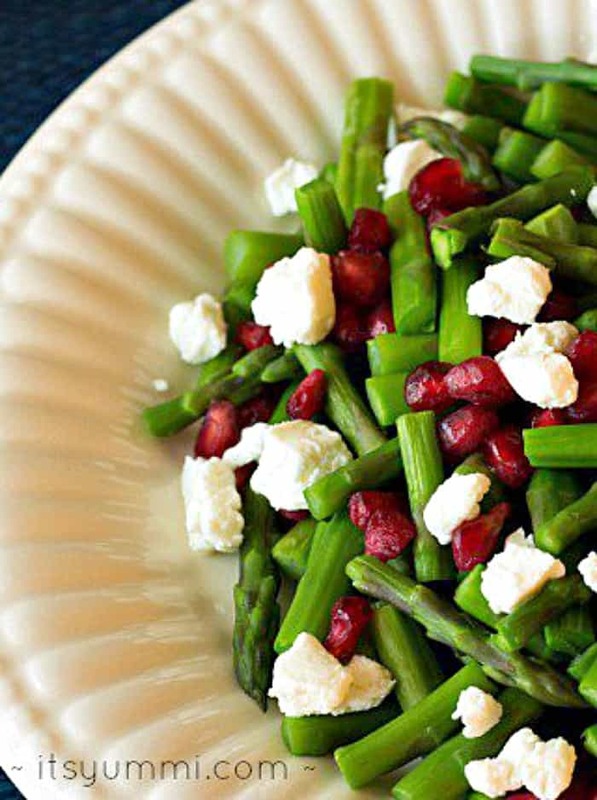 Then we have a feeling you’re going to adore this jewelled asparagus salad from It’s Yummi that also comes with instructions for making vanilla Greek yogurt cheese! 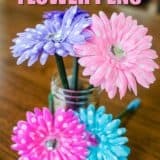 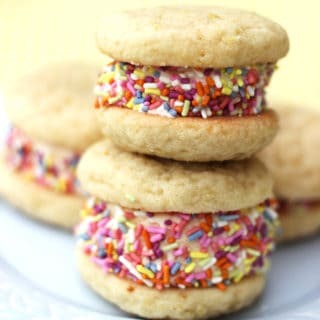 Green salads aren’t the only kind you can enjoy in the spring, of course! 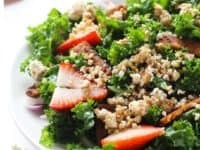 Just in case you’re looking for something a little different, here’s one of our absolute light but filling salads to eat the moment the weather starts warming up. 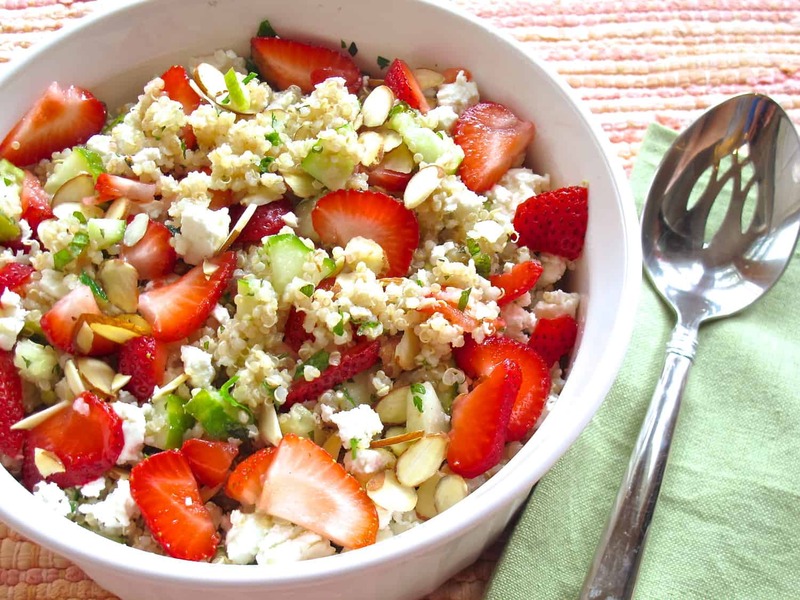 Tasting Page shows you how to make quinoa salad with with strawberries, almonds, and mint. 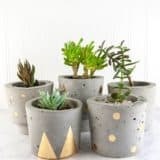 Perhaps you’re looking for something that’s a little more kale based because, ever since is became the number one ingredient in all the trendy vegan recipes, you’ve been totally obsessed with it? 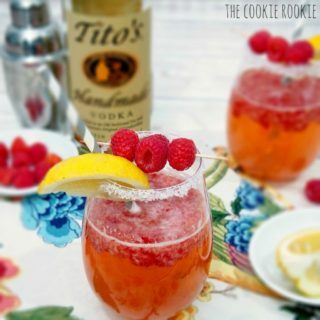 Well, we can’t say we blame you! 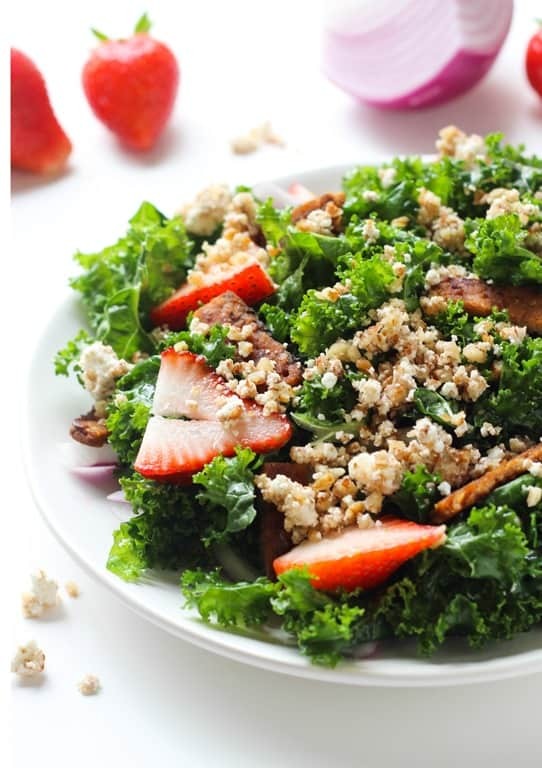 Take a look at this absolutely mouthwatering recipe from Making Thyme for Health for strawberry kale salad topped with crumbled tempeh bacon. 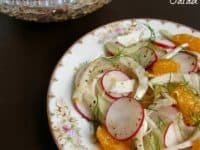 Just in case you’re still interested in a salad that’s mostly fresh ingredients, like fruits and vegetables, but you’re also feeling like something besides a green based salad, here’s a delicious idea from Tasting Page that’s perfect for radish lovers! 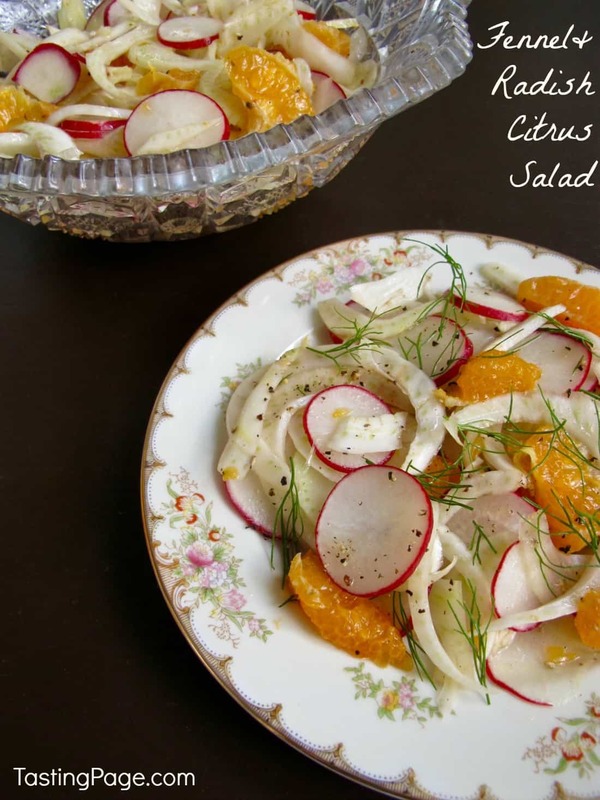 Their recipe guides you through the process of making salad from fennel and radish with cabbage, miniature tangerine oranges, and citrus dressing. 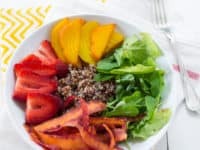 What if you’re feeling in the mood for a much more filling salad, but even the heavier options we’ve shown you so far aren’t quite doing it for you? 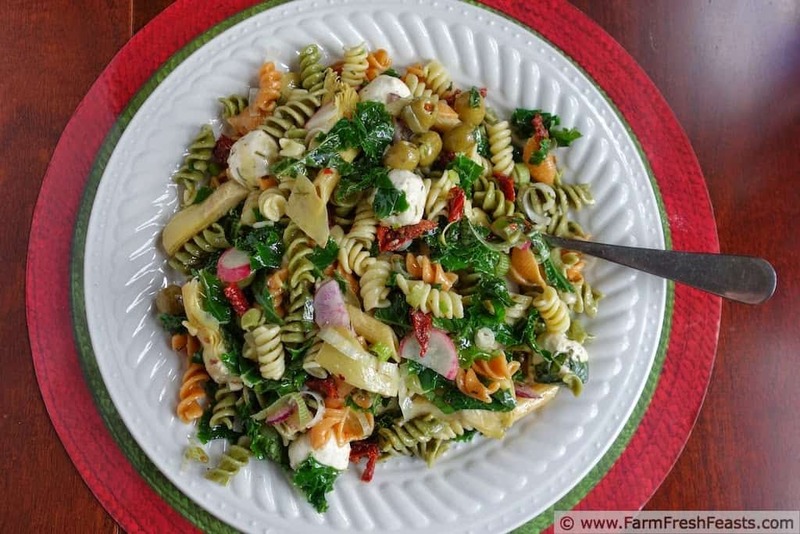 In that case, we’d definitely suggest taking a look at this awesome spring pasta salad from Farm Fresh Feasts instead! 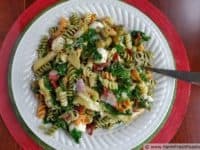 Their recipe shows you all the steps and ingredients for making an antipasti sized serving of pasta salad with kae and radishes. Just in case we really caught your attention with the idea of making a delicious quinoa salad but you were looking to collect more than one recipe because you love them so much, here’s another one for your consideration! 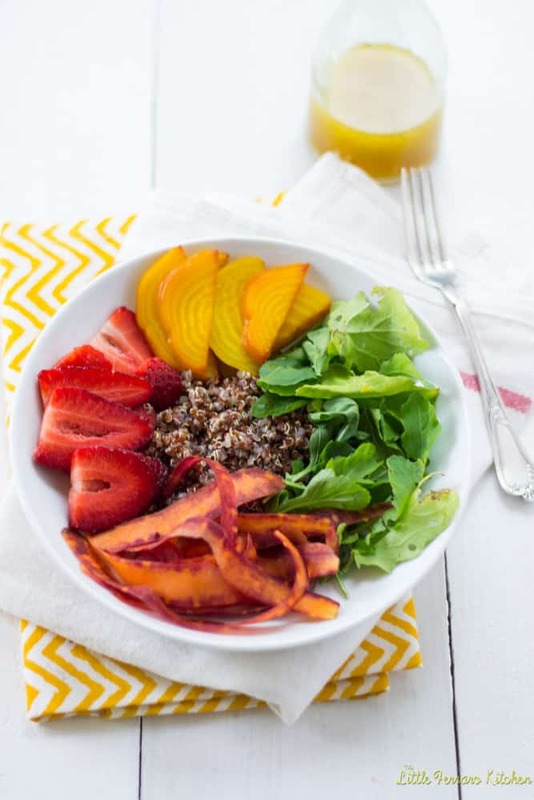 Check out The Little Ferraro Kitchen to learn how this scrumptious rainbow quinoa salad with honey citrus vinaigrette was made. 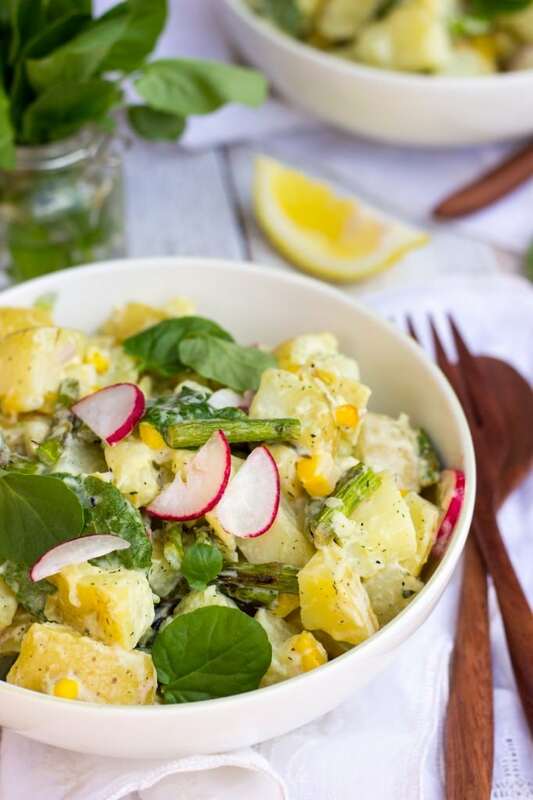 Have you actually been scrolling through our list and feeling hopeful that a delicious spring potato salad will pop up because that’s your favourite kind of salad in the whole world? 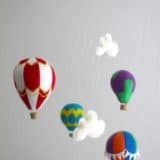 Then we’re pleased to announce that your patience has finally paid off! 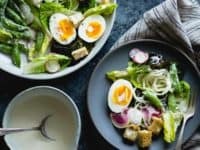 Check out how She Likes Food made this mouthwatering grilled asparagus and corn potato salad with creamy lemon dill dijon dressing was made. 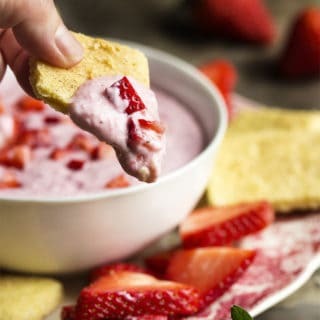 Maybe the recipes that have appealed to you the most so far have actually been the ones involving berries, but you’re having trouble choosing which kind you like best in your salad and can’t help wondering whether there’s a recipe that will give you all of them at once? 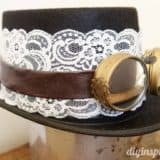 Well, who ever said you have to choose? 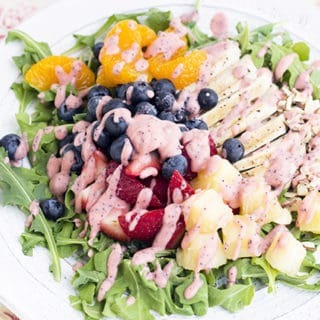 We’re in love with the way The Kitchen is My Playground used more than one kind of berry in their strawberry, blueberry, and greens salad with honey vinaigrette. 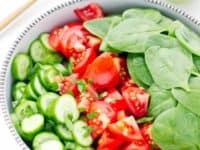 Of course, a list of fresh spring salads couldn’t be complete without a recipe that involves fantastic cut tomatoes and a little bit of avocado! 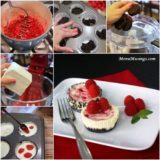 That’s why we were such big fans of this recipe from Cooking LSL the moment we saw it. 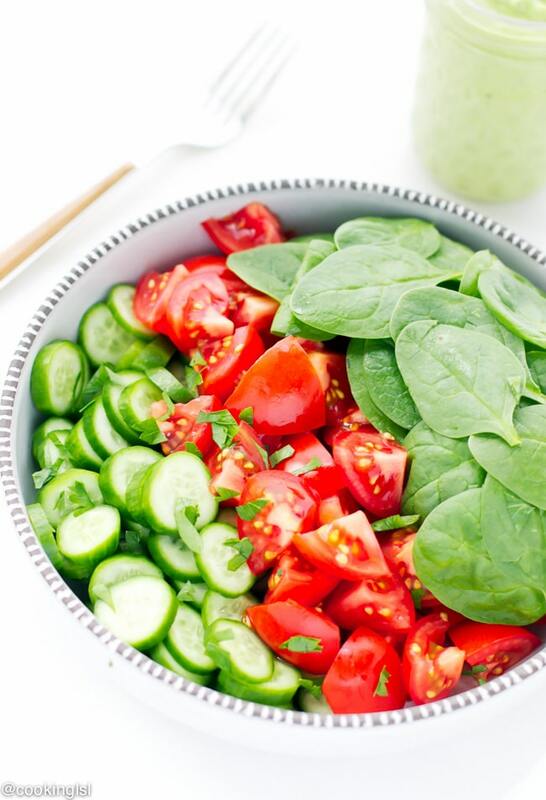 Their tutorial teaches you how to make it happen with tomato, cucumber, and spinach with avocado parsley dressing. 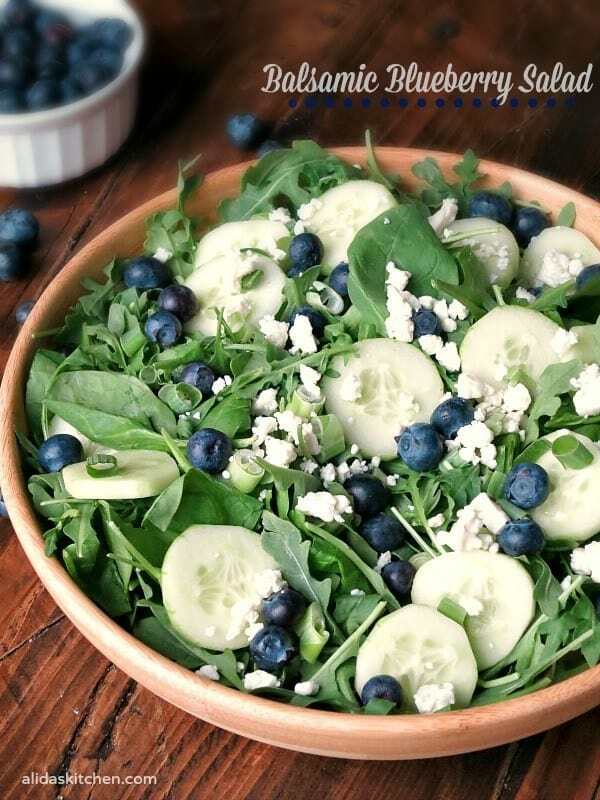 Did we probably catch your attention (and the attention of your tastebuds) the most when we talked about the idea of putting blueberries in a salad, so you’ve been scrolling through our list in hopes of finding a berry salad that’s centred all around those specifically? 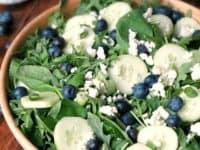 Then we just know this balsamic blueberry salad from Alida’s Kitchen is the perfect recipe for you.